Background checks have become a necessary part of hiring new staff. These checks help determine if an employee will be safe and dependable for your company. However, there are certain guidelines to follow that will keep your company legal and ethical during a background check. Continue reading for a brief look at necessary guidelines when running background checks. Each state has different laws regarding background checks and what is permissible information when deciding to hire or not hire an applicant. Check your state’s laws before checking criminal histories, credit information, or personal details. You must also comply with the Fair Credit Reporting Act, or FCRA. This regulation is important to your company’s legal safety and the safety of your employees’ information and histories. There are thousands of background-checking firms, but they are not all equal. There are several firms that provide information that is often incomplete, outdated, or possibly incorrect. Research and get recommendations about trustworthy background-checking firms before making a final decision. 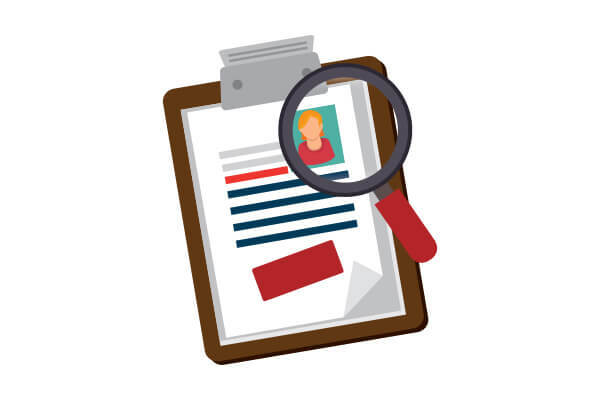 If you search an applicant’s name and information through an informal search engine or on social media platforms, then do so with caution. This type of search can lead to discrimination lawsuits and other legal action. Applicants who were not hired can say that you did not hire them based on misinformation or compromising information from years before. It is best to stay away from online searches of your own, but use caution if you do choose this route. Part of the FCRA’s regulations require that you obtain an applicant’s or employee’s permission to run a background check. This is a crucial element to keeping your company’s background checks legal and free of lawsuits. You can trust the team of Oschmann Employee Screening Services to legally and correctly find the information you require. We follow all federal regulations and rules, so you never have to worry about legal danger. Please call us at (800) 224-8532 and visit us online to find out all employee screening services we offer.